Subscribe to Marlo's VIP Newsletter! 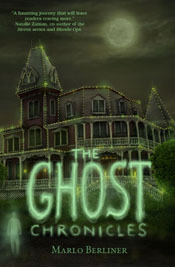 More Awards for THE GHOST CHRONICLES Series! A B.R.A.G. Medallion for THE GHOST CHRONICLES 2! THE GHOST CHRONICLES 2 has been named a FINALIST!